In The Carnivore Way, Cristina Eisenberg argues compellingly for the necessity of top predators in large, undisturbed landscapes, and how a continental-long corridor—a “carnivore way”—provides the room they need to roam and connected landscapes that allow them to disperse. Eisenberg follows the footsteps of six large carnivores—wolves, grizzly bears, lynx, jaguars, wolverines, and cougars—on a 7,500-mile wildlife corridor from Alaska to Mexico along the Rocky Mountains. Backed by robust science, she shows how their well-being is a critical factor in sustaining healthy landscapes and how it is possible for humans and large carnivores to coexist peacefully and even to thrive. University students in natural resource science programs, resource managers, conservation organizations, and anyone curious about carnivore ecology and management in a changing world will find a thoughtful guide to large carnivore conservation that dispels long-held myths about their ecology and contributions to healthy, resilient landscapes. "Using personal anecdotes of encounters with North America predators, supplemented by the results of a number of studies, Eisenberg makes a case for the place of carnivores in the wild." "Ecologist Cristina Eisenberg travels wildlife corridors between Alaska and northern Mexico, focusing on six species: the grizzly bear, wolf, wolverine, lynx, cougar and jaguar. Examining the science and public policy surrounding these majestic creatures, she argues that we need to give them room to roam—and we can do it in a way that allows us to peacefully coexist." "[A]n eminently readable primer on predator ecology." "Unfortunately, the topic of large predators can draw plenty of passion and emotion, but that often leaves little room for clear thinking. That's why Cristina Eisenberg's The Carnivore Way is so refreshing. It brings science and rational thought to the issue and shows that we can indeed coexist with large, carnivorous animals—and that most of the issue is with us, not them." "In The Carnivore Way, ecologist Cristina Eisenberg argues for the protection of North America's big predators and their expansive habitats. As a researcher, she illustrates the creatures' ecological importance as linchpins of their ecosystems, affecting the populations and dynamics not only of their prey, but of trophic levels throughout the system. She also urges cooperation among the various stakeholders whose livelihoods are impacted by the presence of large carnivores. Coexistence with carnivores is her steady mantra." "Eisenberg is showing us the greatest hope that may exist for a "carnivore way"--the people among us who care enough about the wildlife in their backyards to become engaged in a large carnivore conservation on their own terms." "It is both informative and thoroughly enjoyable to read, with its combination of personal narrative and well-explained science." 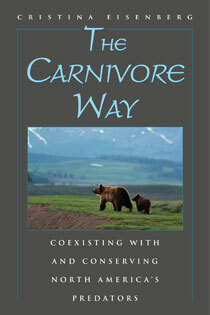 "The Carnivore Way is an accessible, engaging expert’s view of the complex biological, social, and political situation of North American carnivore conservation." "In today’s political hysteria, I found this profoundly refreshing. Fluidly written, engaging, and informative." "An impressive synthesis of conservation and science, The Carnivore Way is the road map for carnivore conservation and connected landscapes in North America's Rocky Mountains. With keen insights into carnivores' roles in ecosystems, their behaviors, and their complex relationships with humans, Cristina Eisenberg compels us to understand why carnivores are essential to the health of ecosystems and our need to coexist with them." "Eisenberg investigates the extensive cascading biological medicine wheel we know as the natural world, continuing to prove carnivore coexistence is fundamental to our own survival—inextricable. The Carnivore Way makes a remarkable case for immediate overhaul of human intrusion. Our brothers and sisters in other forms depend on us to get this right and their wellbeing distinguishes our own sustained presence. Genius narrative, essential knowledge, this book is beautiful lifeblood." Allison Adelle Hedge Coke, Author of "Blood Run & Streaming" and editor of "Sing: Poetry of the Indigenous Americas"
"With characteristic insight and clarity, Cristina Eisenberg paints the large-carnivore story across a vast canvas. Few can boil down the essentials like Eisenberg in prose that both informs and inspires. She has come through again with an engaging read about iconic species that put to the test our willingness to coexist with other life forms." "...Eisenberg is always worthwhile reading..."
"[Eisenberg] write[s] inspiringly about research on large carnivores and convincingly argue[s] for the need to deeply understand large carnivore behavior and ecology in order to better manage and conserve them." Cristina Eisenberg: "Rewilding the Pacific States"
Join Cristina Eisenberg at the High Desert Museum on Tuesday, April 12 at 7:00 pm. Join predator ecologist Cristina Eisenberg as she explores the return of large carnivores such as wolves, wolverines, lynx and grizzly bears to the Northwest. She will discuss the relationships between humans and carnivores in the West, the ecological benefits of large carnivores on whole ecosystems, and the social challenges that come with coexisting with them in a mixed-use landscape. She will share stories from years spent afield worldwide studying these relationships as a scientist and will read from her book, The Carnivore Way: Coexisting with and Conserving America's Predators. Free, but seating is limited and RSVP is required. More details here. Reposted from Cristina Eisenberg's Huffington Post blog with permission. The most powerful environmental law on Earth, the Endangered Species Act (ESA), is under the gravest assault it has ever faced. Last week I spent time in Washington, DC briefing US congressional leaders on ESA threats and brainstorming about how to safeguard this venerable law. The ESA has faced previous formidable challenges. While it has withstood some, it has succumbed to others. One of the most strident attacks occurred when Rep. Richard Pombo (R-Calif.) introduced the Threatened and Endangered Species Recovery Act of 2005. While his fulminations against the ESA failed, the 2011 gray wolf delisting quietly proposed by Montana Senator John Tester (D-Mont.) as a federal budget rider succeeded. This unorthodox pathway to delisting opened a Pandora's box of species attacks. Flash forward to 2015, when seven bills aimed at "reforming" the ESA (S 112, S 292, S 293, S 655, S 736, S 855, S 1036) are rapidly advancing through the 114th Congress. These bills, discussed on May 6, 2015 by the Senate Environment and Public Works Committee, work in concert with three bills (HR 843, HR 884, HR 1985) that would remove protection from gray wolves in the Upper Midwest (Michigan, Wisconsin, and Minnesota) and the West (Washington, Oregon, Utah, and Wyoming). Ominous as all that may seem, it's just the tip of the iceberg. Our legislators have attached myriad insidious riders to the National Defense Authorization Act of 2016 (HR 1735), which passed in the House of Representatives on May 15, 2015. Many congressional offices I visited were unaware of some of these riders, which are literally buried in the bill. (It's necessary to scroll far down in this 934-page bill to find them.) One rider calls for eliminating possible protection for sage grouse, a species whose critical habitat is severely threatened by energy development and cattle ranching. Another would halt recovery efforts for the sea otter. Beyond the ESA, many of these riders also threaten other benchmark environmental laws, such as the Clean Air Act and the National Environmental Policy Act. Some of the bills under review would eliminate the right of citizens to sue the government if they think the ESA is being misapplied, would obviate the use of "best science" as mandated by the ESA, and would counter "critical habitat" consideration for species risking extinction. Some would apply economic and state political filters as criteria for listing species. Taken individually, each bill and rider represents a significant menace. Taken collectively, a disturbing picture emerges of a smoothly-orchestrated effort to gut the ESA. While it is troubling to see proposals to remove current or future protection for sensitive species such as the gray wolf, red wolf, sage grouse, grizzly bear, wolverine, and many others, equally troubling is this unconstitutional effort to open our natural resources for corporate exploitation. Beyond a Noah's Ark approach to saving species, the ESA safeguards ecological processes, such as predation, and maintains biodiversity. Today best science tells us that the most effective way to mitigate climate change is by maintaining ecological resiliency. The ESA protects keystone species, such as the gray wolf and sea otter, which create more resilient ecosystems by increasing biodiversity of entire food webs--a mechanism called trophic cascades. According to the journal Science, at time when climate change is already greatly accelerating extinction, we should not encourage further extinction. We've made enormous national conservation policy inroads since the 1940s, but we risk losing all we have gained. In 1948, when Aldo Leopold entreated us to "think like a mountain" and conserve species such as the gray wolf due to their ability to benefit entire ecosystems, he also emphasized the importance of keeping "every cog and wheel" when managing public lands. Today, thanks to his influence and that of leaders such as Rachel Carson, no other nation on Earth has a policy safety net with the strength and beauty of our American environmental laws. To preserve our American environmental heritage at this critical juncture, please urge your senators and representatives to maintain the integrity of the ESA. I was speaking in Congress when the gray wolf was delisted in 2011 via a budget rider. Back then, as now, I watched the Obama administration allow the ESA to be used as a partisan bargaining chip. Today I see our presidential administration enabling the same thing. However, the strong avowal of the importance of the ESA by the majority of congressional offices I visited last week gives me hope that we will overcome these challenges. Recovery of the Great Bear? This post originally appeared on HuffingtonPost.com and is re-posted with permission. As was the case for other large carnivores in the lower 48 United States, by the 1960s grizzly bears were nearly extinct. This species had dropped to less than 2 percent of its former range south of Canada and occurred in six small, discrete populations, totaling 800-1,000 individuals. In response, the US federal government listed the grizzly bear as "threatened" under the new Endangered Species Act (ESA). In 1983, Congress approved a recovery plan and convened the Interagency Grizzly Bear Committee. Protection worked. Between 1975 and 2007, Yellowstone's grizzlies increased from 136 to 571, inspiring US Fish and Wildlife Service (USFWS) to delist the species in 2008. 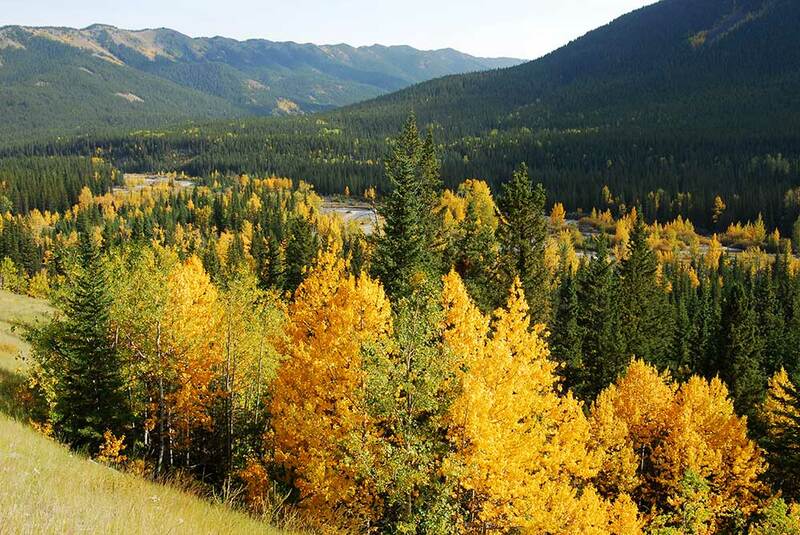 The Greater Yellowstone Coalition sued, due to inadequate regulatory mechanisms post-delisting and whitebark pine decline. While grizzly bears can eat over 270 different foods, they require high protein at specific times of year--such as before hibernation. Protein-rich, high-fat items like pine nuts enable them to pack on pounds. For breeding females, body fat determines their ability to reproduce. Pregnant females going into hibernation with insufficient body fat absorb their fertilized eggs. Given the importance of whitebark pine to this species, scientists linked grizzly bear reproductive decline to climate change. Due to federal failure to apply best science, US District Judge Donald Molloy ruled in favor of relisting the species. He then asked USFWS to look further into the relationship between whitebark pine and grizzly bear demography. Meanwhile, from 2008 to 2012, grizzly bear numbers in the Greater Yellowstone Ecosystem (GYE) held steady at over 600. Some experts believe this population has reached carrying capacity and that because the grizzly is an omnivore, whitebark pine decline is unlikely to have a negative impact on it. For any species, recovery hinges on the portion of the population capable of reproducing, called the ecologically effective population. Species with a low reproductive rate, such as the grizzly bear (which doesn't begin to reproduce until the age of 6-8 years, and then only has 1-3 young every 3 years), will have a low ecologically effective population. For example, a population of 100 bears may have only 15 reproducing females. Scientists have identified sustainable mortality for females with cubs of the year of 4 percent. Based on new science, in 2013 USFWS adjusted this to 7.6 percent, although not all agree. How one counts grizzly bears has emerged as a leading delisting challenge. In 2013, USFWS found 741 grizzlies roaming the GYE, well above the recovery threshold of 500. However, this count may be biased because whitebark pine and cutthroat trout declines have altered bear feeding patterns, driving them to alternative high-protein, high-fat foods, such as army cutworm moths. The moths live on open, rocky slopes, above treeline. According to Daniel Doak and Kerry Cutler, bears eating moths are more visible and easier to count, making it seem like their numbers have gone up. 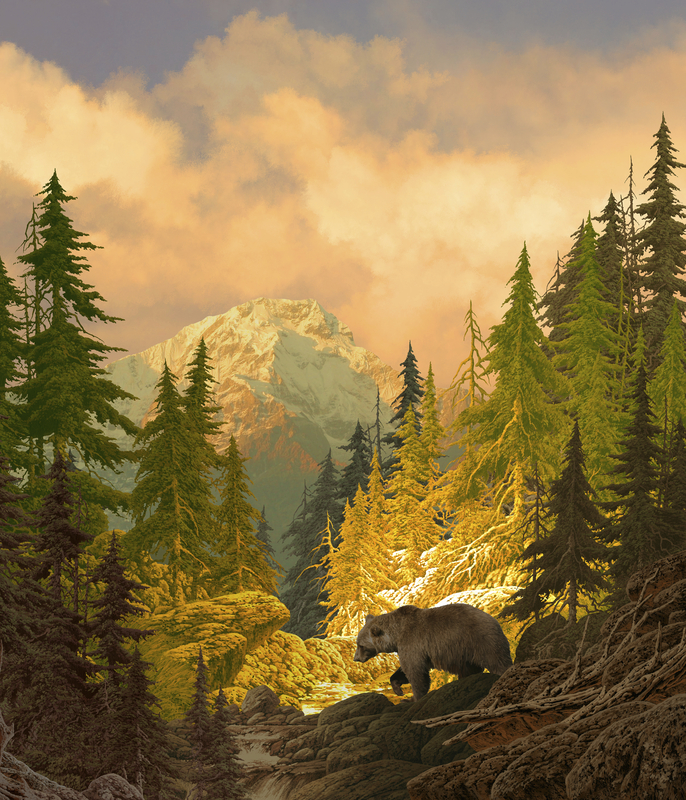 These scientists suggest that the GYE grizzly population has probably increased far less than is believed. In 2013 in response to questions about habitat, climate change, and how one counts grizzly bears, USFWS published several recovery plan supplements.